The Political Studies Association (PSA) of the United Kingdom was founded in 1950. The aim of the association is “to promote the development of political studies and to encourage education and the advancement of learning in the art and science of government and in other branches of political sciences”. The PSA website has top-of-the-range online resources for political studies, being also ranked first by several search engines. 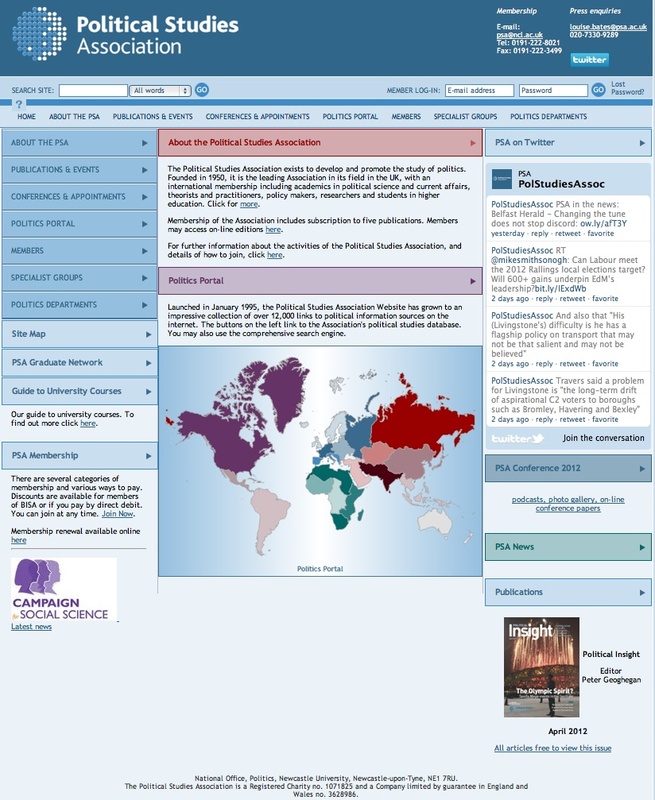 The site provides instant free access to Political Studies Review and to PSA specialist groups’ webpages, as well as to the 1994/present PSA annual conference papers and the 2008/present conference podcasts and photo galleries. A very rich series of links to governments, parties, NGOs, mass media, archives and data, online academic political journals, University Politics Departments, political interest groups, research institutes, libraries and research groups, is also available. Access to full-text articles of some PSA publications (Political Studies, British Journal of Politics and International Relations, Politics and PSANews, the association newsletter) is restricted only to its members. Most of the website’s content is freely open to the public, while only a few areas are restricted to paid members of the association.